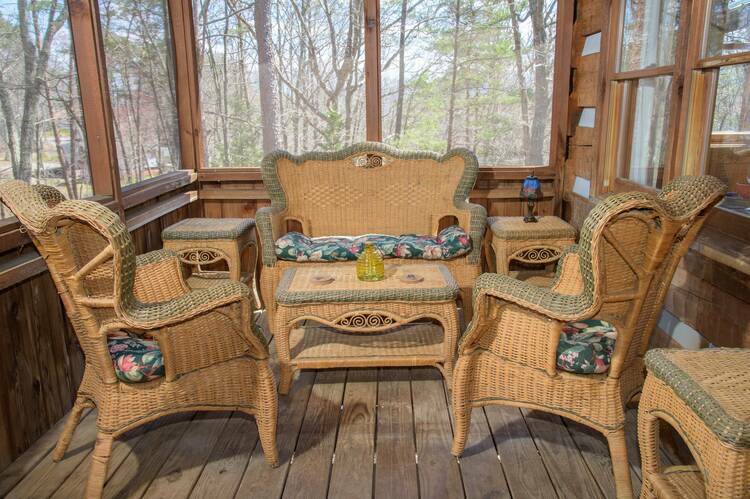 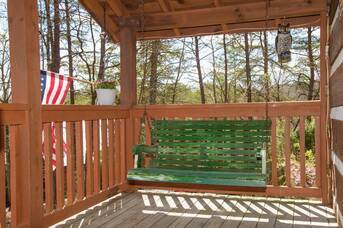 As soon as you arrive at Owl Take the View you will notice the large deck and magnificent view! 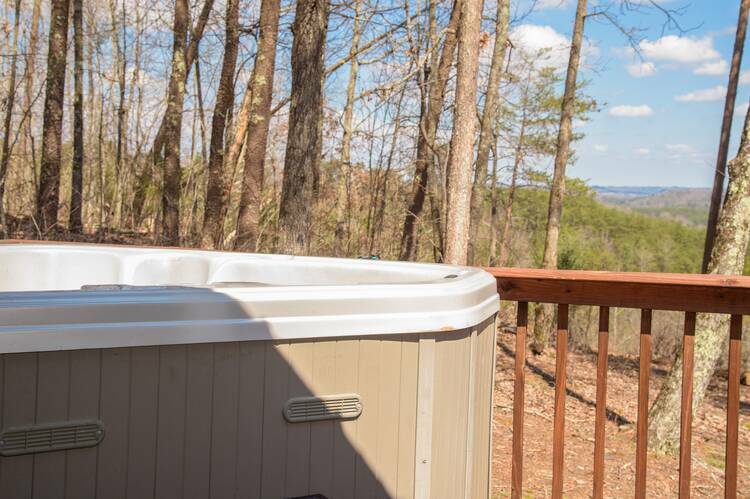 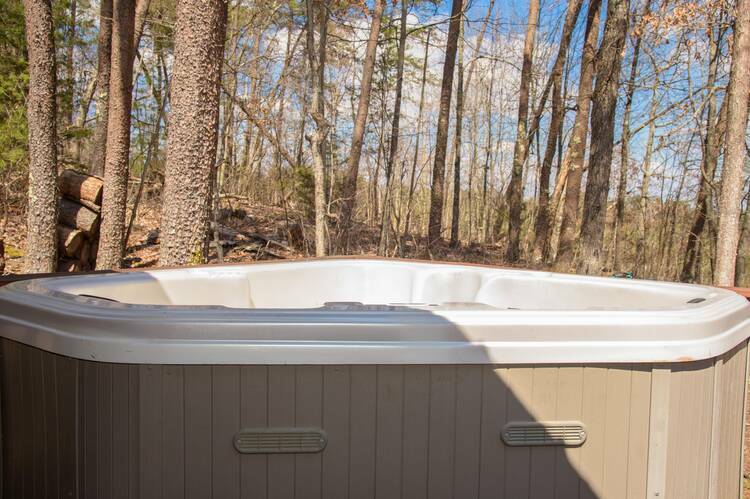 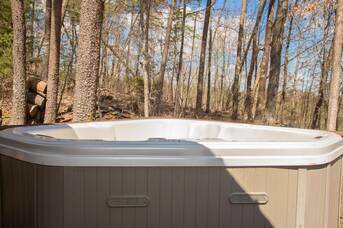 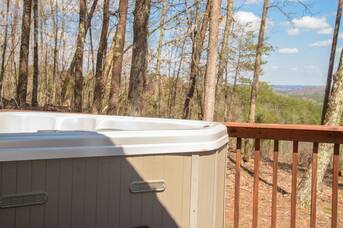 As you walk up the ramped entry to the back deck you will notice the porch complete with Hot Tub, seating area, and sauna all facing the view side of the cabin. 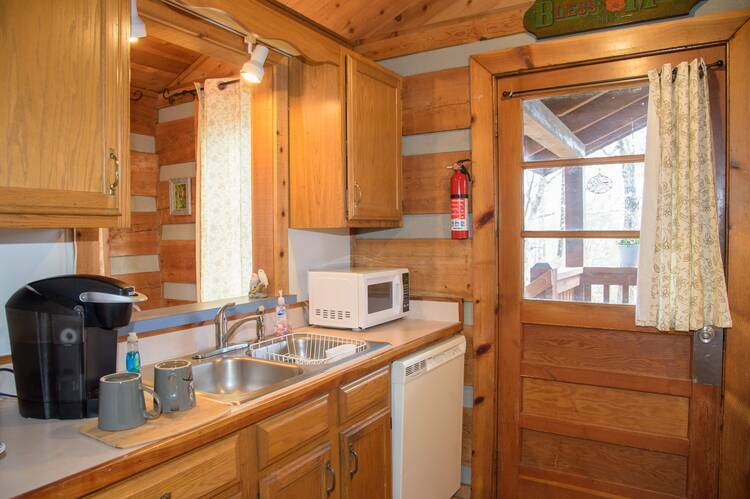 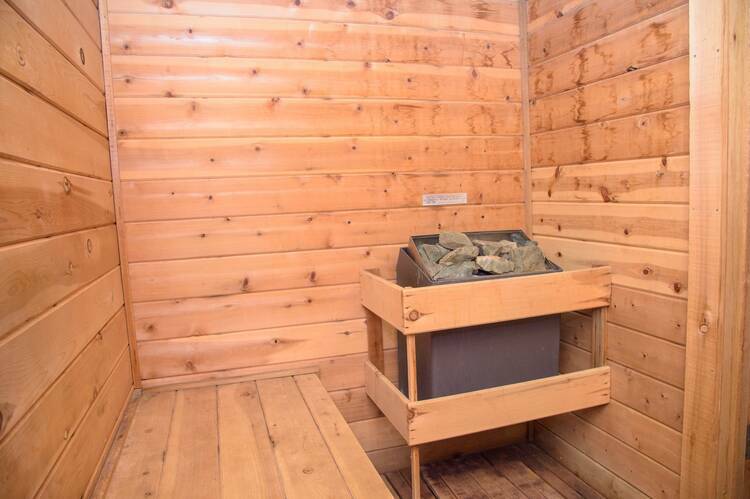 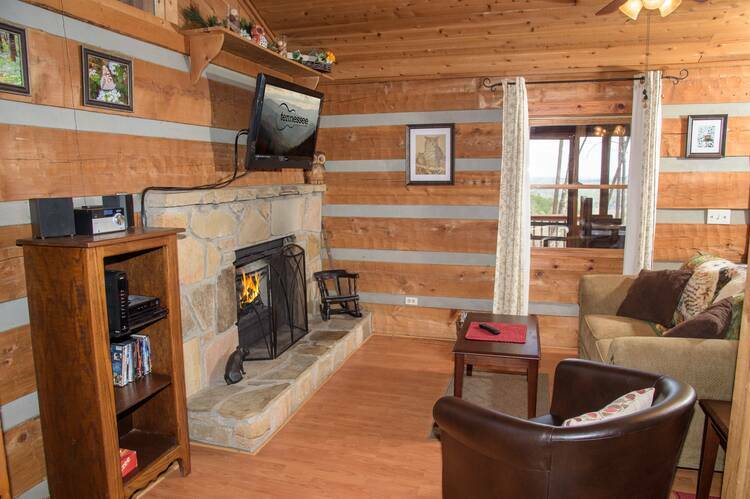 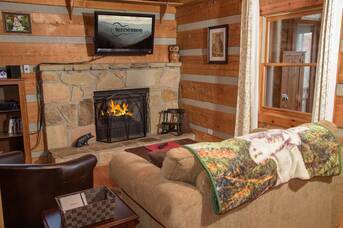 When you walk inside you will notice the fireplace is the centerpiece of this 1 Bedroom Romance cabin and that everything you could possibly want and need is right at your fingertips. 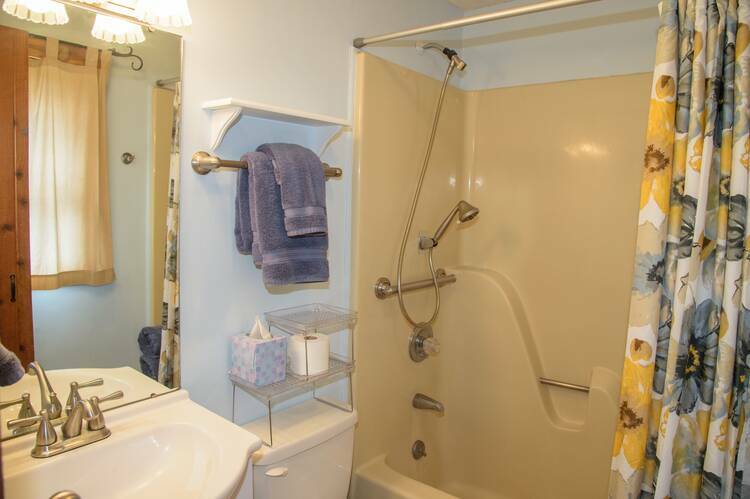 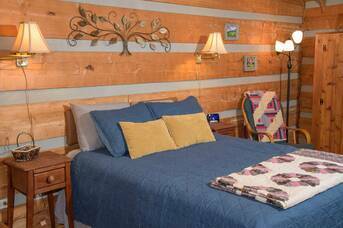 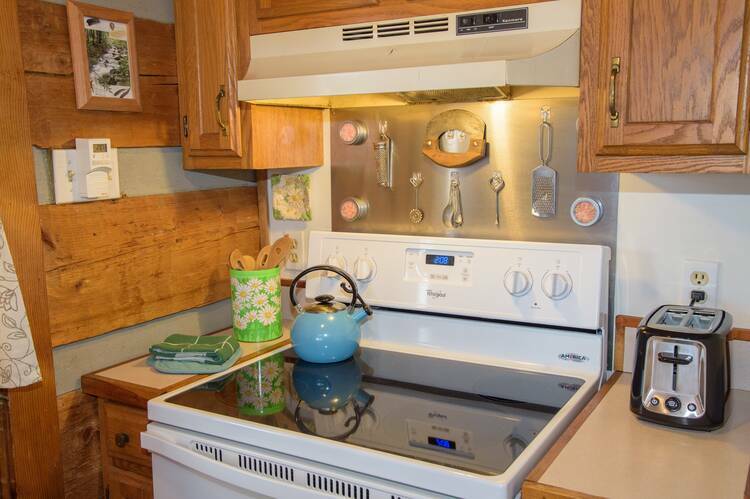 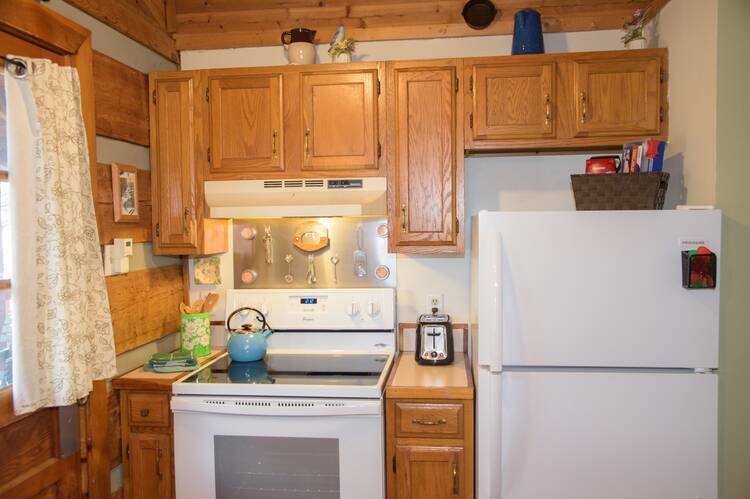 Complete with a fully stocked kitchen, king sized bed, and decorated to perfection, you are sure to be impressed with all that Owl Take the View has to offer. 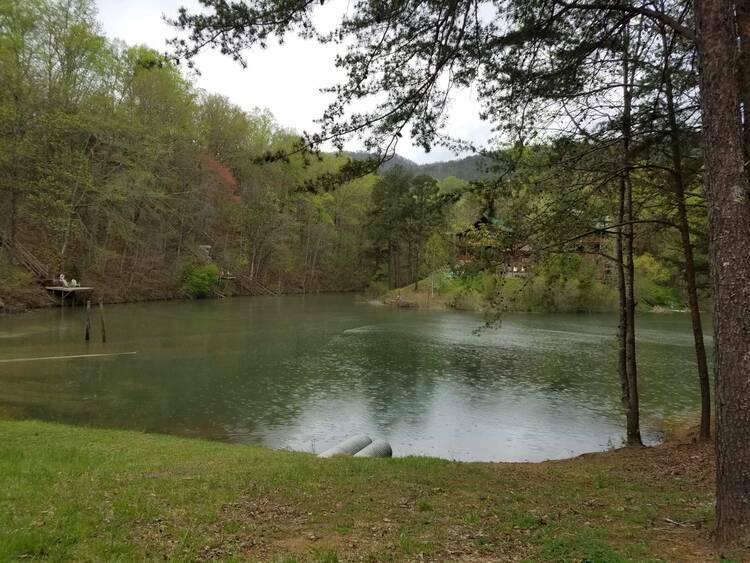 Only a 3-5 minute walk to the neighborhood catch and release pond, be sure to bring your fishing poles! 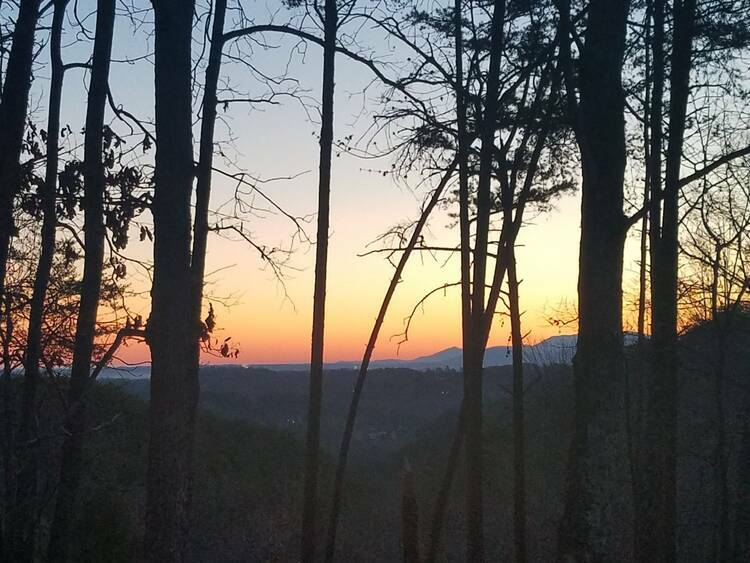 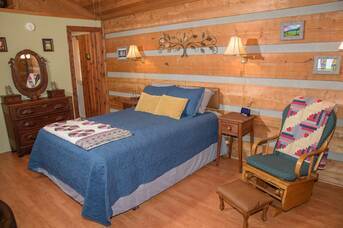 The location of Owl Take the View is just minutes to the Pigeon Forge Parkway, Wears Valley, and the Great Smoky Mountain National Park. 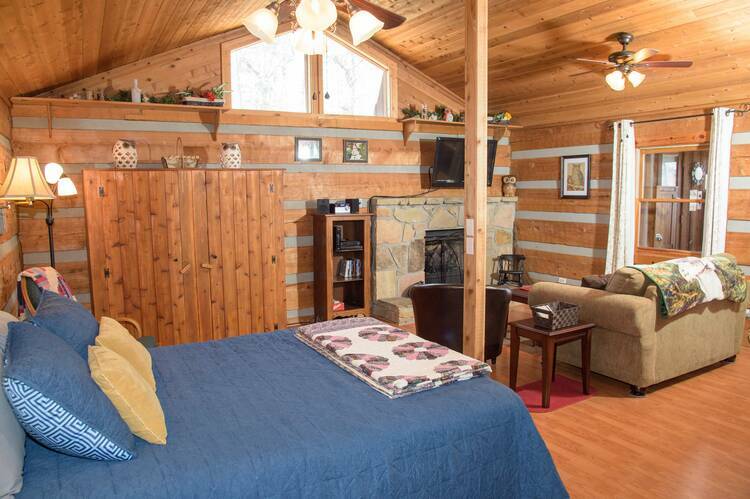 Looking to be close the action of Pigeon Forge? 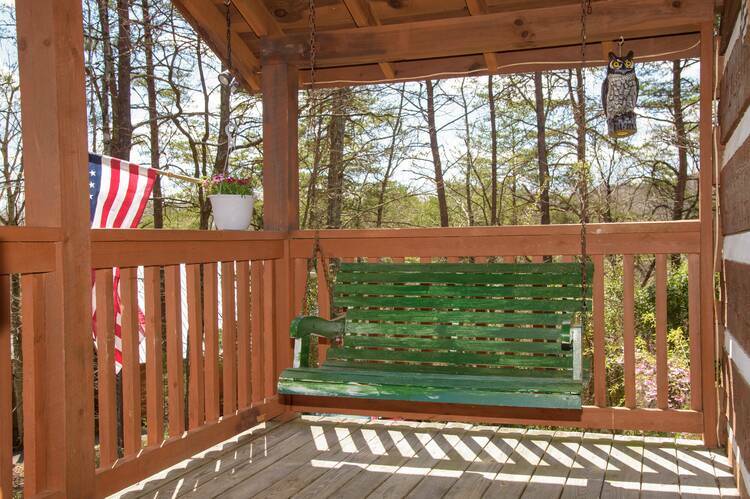 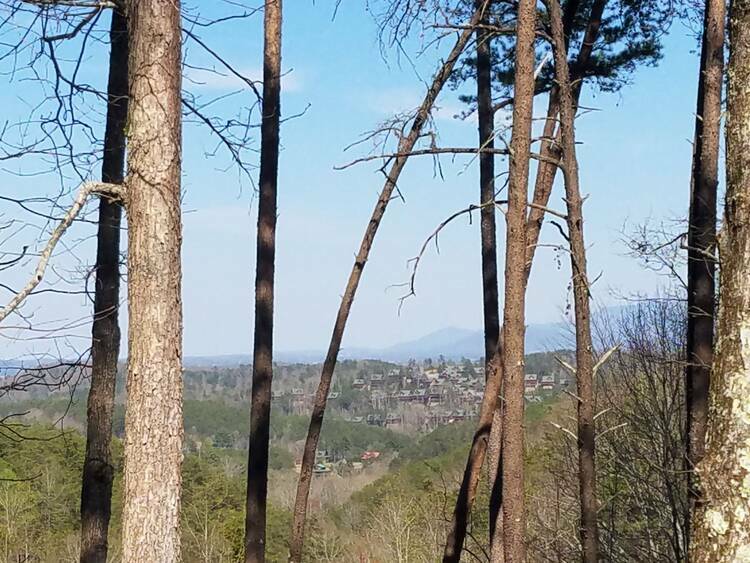 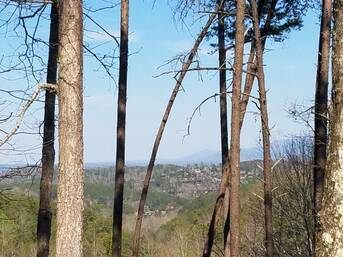 Owl take the view is a short, 5-10 minute drive to the center of the city of Pigeon Forge as well as Wears Valley. 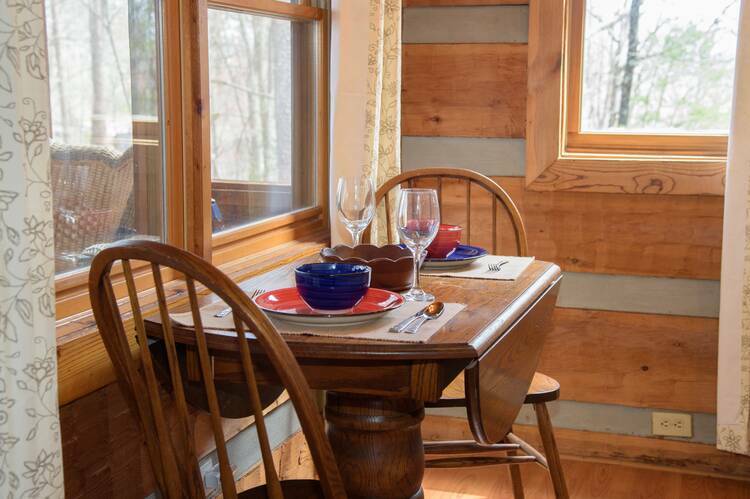 Here you will find thousands of top-rated restaurants and attractions like Paula Deens Family Kitchen, Dollywood, Cades Cove, Old Mill Restaurant, Hatfield and McCoy Dinner show, and Dolly Parton's Stampede--all just a few minutes away! 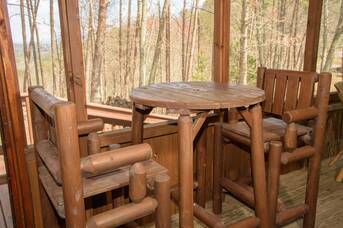 No matter what time of year you choose to stay, Owl Take the View is perfect all year round! 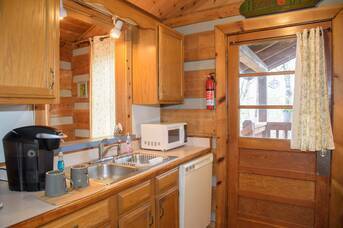 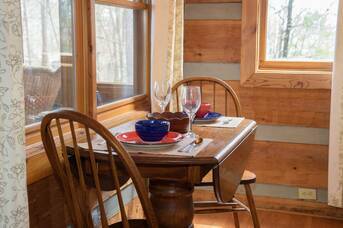 Summit Cabin Rentals is becoming known as one of the best property management companies in the Smokies! 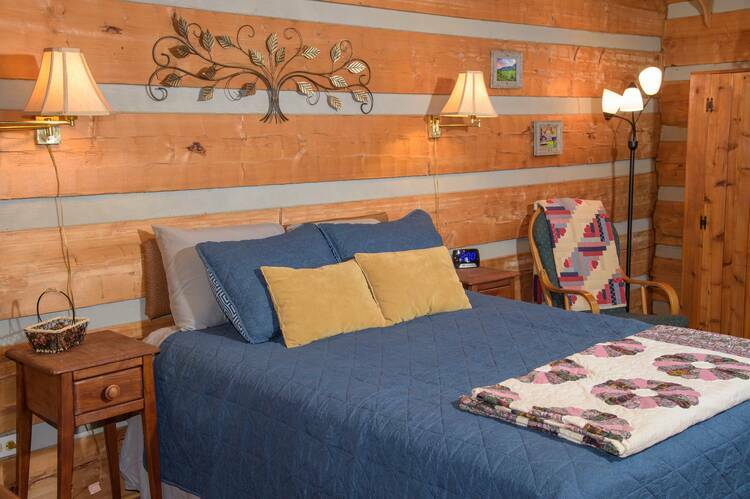 Enjoy hassle-free checkin with key codes and directions sent right to your phone, Talk to our friendly/local staff for recommendations and area information, Take advantage of our Free Ticket Package included with every reservation, and Experience the highest quality of service by staying with a 4.7 Star Google Rated and A+ BBB Rated Company. 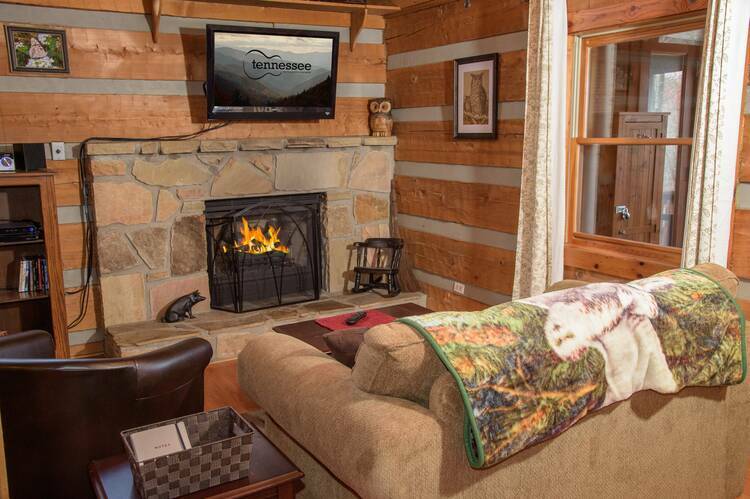 We make vacationing in the Smokies easy and unforgettable...we hope to have you stay with us soon!